Fernando Gaviria has made his debut with UAE Team Emirates with a victory at the Vuelta a San Juan. The Colombian rider was the strongest at the final sprint. The peloton had to deal with the high temperature of the Argentinian summer and with crosswinds, that allowed a second breakaway in the last 50 kilometres after the first one had already been neutralised. The group got compacted with five kilometres to go and right away the teams with sprinters looked for the better positions to face the final. Bora-hansgrohe's Peter Sagan seemed to be the first one to launch his sprint, but it was later evident that he was riding for his teammate Sam Bennett, who lost his wheel but finished in the third position. Gaviria launched a strong sprint from behind that nobody could equal. Caja Rural-Seguros RGA'a Matteo Malucelli was second, Bennett third, Luca Pacioni (Neri Sottoli) crossed the line in the fourth position and Deceuninck-Quick-Step's Alvaro Hodeg in the fifth position. With this victory, Gaviria also leads the GC classification. "I'm super happy when I win," said the rider. "Above all because I have changed teams and I was looking for a confirmation. 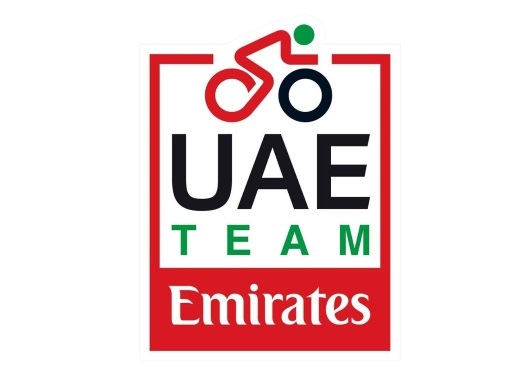 The UAE Team Emirates is improving year after year and becoming the strongest in the world and I'm happy to be a part of this project. "In my old team, I learned so much and now I'm bringing all of that knowledge with me in my new chapter. I want to thank my team because they worked so well even if we are young, we have so much talent. We prepared very well in the winter and in the last days here in San Juan before the race. In the sprint, I was very relaxed because knew that I could win." The Colombian has started his season at the Argentinian race in the last three years and each of them he has taken at least one victory. In 2017, he took the wins at the first and fourth stage of the race.